Starting today, Wednesday, July 6, 2016, I will document every single parking experience in downtown Elizabethtown. I predict that availability of parking spots and my ability to park will overwhelm the times when they aren’t. 8:30 a.m. Wednesday, July 6 – My son and I went to Folklore Coffee this morning. Although there were at least 5 parking spots in the lot behind Folklore empty and available, we parked in the Free Lot in the alley behind Groff’s Meats because I didn’t have a dime to feed a meter. 7:30 p.m. Wednesday, July 6 – Team McCloud headed to the Good Burrito Co. for dinner. Obviously, there’s no parking directly in front of the store on West High Street, but we drove straight into an available spot in the municipal lot next to Highlander Cleaners. We also could have parked in the municipal lot behind the library – lots of spaces available there. 3:05 p.m. Monday, July 18 – I parked on Market Street in front of Folklore Coffee on my way to a 3:15 meeting with the varsity E-town High School cross country coach. I didn't want to park right on the end, so I drove through that spot into the second one, got out and slipped in a dime for an hour's worth of parking. In fact, that whole row of parking spots was empty when I parked. 5:10 p.m. Friday, July 21 – On a mission to fill a growler with local craft beer, I found a spot right in front of Funk's Brewing on Market Street without having to drive around the block or find a spot behind the library. 6:30 p.m. Friday, July 28 – What's this? Multiple parking spots behind Folklore for a meeting with the varsity cross EAHS country coach and a candidate for an assistant coach job. 8 a.m. Tuesday, Aug. 2 – Once again, I had my choice from multiple spots behind Folklore as I headed to a meeting with the Elizabethtown Area Chamber of Commerce's Communications Committee. In fact, two other people pulled into spots before I got inside. 2:20 p.m. Tuesday, Aug. 2 – My son rode his bike to some friends' house and stayed until after it got dark last night. We quickly realized he needed a light for his bike, so he and I headed to Bicycle & Fitness Outfitters and parked right in front of the store. 2:38 p.m. Tuesday, Aug. 9 – A quick trip the library yielded a prime parking spot in the municipal light behind the library, right across the alley. I could have had my choice of any of a number in the lot, but this great spot was open. 1:15 p.m. Wednesday, Aug. 10 – I had to stop by The Elizabethtown Advocate's office in the first block of South Market Street, where there's no parking in the street. I found one of 7 open spots in the municipal lot next to the former offices of Hornafius Insurance (now Mile6). When I left 10 minutes later, other vehicles had parked next to me, but others had left, leaving 6 parking spots open for a zero loss of spots at that time of the afternoon. 12:20 p.m. Friday, Aug. 12 – On Tuesday, the library didn't have the book I wanted, but one was available in another of the libraries in the county. It arrived, and I stopped by to pick it up, parking in one of the free spaces right behind the library. There were lots of spaces in the municipal lot and also along Market Street. My problem with Etown parking isn't that there aren't spaces. It's that the lots are hidden - visitors and new residents have a hard time locating those "tucked away" spaces. And that the meters are inconsistent - some take nickels, some take dimes, some take quarters and they each have different time limits. Signage is better than it used to be, but could it be better? I think so. The different parking lots have varying limits on them. 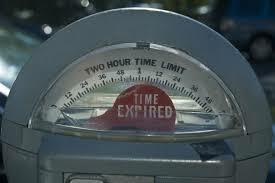 The confusion could be alleviated by putting the hours and rates on a sign in the lots. Jeff, If you wanted to fill a growler with "local craft beer" that is actually brewed in Etown, you could drive on down to Moo-Duck Brewery where parking is always free and available!! Just throwing that out there! ��Personally I have never had a problem parking in town. You might have to walk a bit but there is always a spot available somewhere for free or a very small fee! Fair enough. I'll be at Moo-Duck this week! That said, my focus for this was on parking in the central business district (AKA, downtown). Moo-Duck is a little beyond that area. Like you, I've never had any problems parking downtown. The only time that it was really inconvenient was during the Taste of Northwestern Lancaster County when half the town was trying to get to the library. My wife and I ended up parking at the community center.